Five crew members of an Irish yacht who had been adrift for eight days have been rescued from their life raft off the Cornish coast. Their vessel, the Inis Mil, left Kenmare in Co Kerry nine days ago for France but capsized, forcing the crew onto a life raft. When the crew failed to arrive at their destination the alarm was raised. 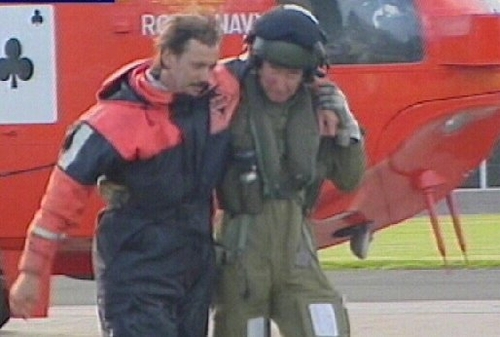 Coastguards in Ireland, Britain, France and the Channel Islands were involved in the search. The life raft was located near Padstow earlier today by a seek and rescue helicopter. No emergency signal had been reported by coastguards until this morning, when one of the survivors used a mobile phone when they got near enough land to get a reception. Rescue services say they were lucky to survive as weather conditions in the area were exceptionally bad in recent days. The five-strong crew included two Germans, one of whom is believed to live in Co Kerry, a British skipper and two others from France and Australia. They were all taken to hospital in Truro, Cornwall. At a press conference from the hospital, the crew spoke of their exhausting and frightening ordeal and thanked the emergency services who rescued them from their life raft.